Most forms of safety glasses / eyewear available in Europe have been assessed for protection against high speed particles. SATRA's Austin Simmons explains the testing process and the context of European legislation and standards. Despite the availability of good quality safety eye protection, eye injuries still represent about 20% of hospital treated industrial accidents. It is considered that the vast majority of these injuries could have been prevented if appropriate protective eyewear had been worn. Typically, safety eyewear is available that can provide protection against impact, chemical or molten metal splashes, dust, or radiation from welding arcs or lasers. Protective products may take the form of spectacles, goggles, visors, face shields or hoods and the most suitable should be selected for a particular application. For instance, safety spectacles are usually made with shatter-resistant plastic lenses to protect the eye from flying debris, providing impact protection against hazards commonly found in many activities. These include engineering and timber cutting where fast moving particles are caused by operations such as drilling, grinding and cutting and also from broken tools and damaged grinding wheels. Safety spectacles may be fitted with prescription lenses, and normally incorporate sideshields and are suitable for general workshop or laboratory use when protection against impact or occasional light chemical splash is required. The potential impact speed must be assessed before selecting the most appropriate protection. In some applications the use of goggles or a face shield may be appropriate where high velocity impacts could potentially dislodge safety glasses. The European Union and associated countries have some of the most comprehensive legislation regarding the performance requirements and use of personal protective equipment (PPE), and this cover all forms of safety eyewear. It is a requirement that safety eyewear must be assessed and CE marked before it can be supplied into the European market. It has now been illegal for many years to place an item of PPE on the market in a European Member State unless it carries the CE mark. In Europe, there are two pieces of legislation that are closely related in terms of safety eyewear. Directive 89/656/EEC - the ‘use’ Directive, covers the use of PPE at work, requiring employers to provide suitable PPE to employees where a particular hazard cannot be eliminated by other means. European Directive 89/686/EEC the Personal Protective Equipment Directive covers minimum health and safety performance criteria and procedures for PPE placed on the market within the European Economic area to ensure it is fit for its intended purpose. It specifies in general terms what features should be addressed in the design of PPE and how it should be tested and certified. Products meeting the requirements of the PPE directive should be marked with the ‘CE’ symbol. In order to CE mark safety eyewear, manufacturers must submit examples of product to a ‘Notified Body’ for assessment. Notified Bodies such as SATRA, are Europe-based organisations which, have been appointed by Member State Governments and notified to the European Commission on the basis of their ability to carry out the examinations and tests required for CE marking of PPE. One of the most important general eyewear standards is EN 166: 2002 Personal eye protection - specifications which gives basic requirements for general safety eyewear, with EN 167:2002 Personal eye protection - Optical tests and EN 168:2002 Personal eye protection - Non optical test methods providing test methods for optical and non-optical properties. Eyewear products are frequently tested to these standards as part of an assessment to confirm compliance with the PPE Directive. Although an optional test, most forms of safety eyewear available in Europe have been assessed for protection against high-speed particles. EN 168: 2002 clause 9 specifies a test method for testing resistance of eyewear to high-speed particles. The test is simple in principle - the eyewear is placed on to a head form, and then a 6 mm diameter steel ball is propelled at the eyewear at a controlled speed, and should impact consistently at the correct point on the eyewear to ensure repeatability. SATRA uses a compressed air propulsion system to achieve this; accelerating the ball along a horizontal barrel toward the head form. The speed of the ball is measured using a sensor mounted just before the exit point of the barrel, based on the assumption that frictional / air resistance losses between the end section of the barrel and the point of impact with the eyewear are negligible. The acceleration of the ball, and therefore the speed of impact, can be varied via the pressure of the air in the chamber before release. Typical speeds required for impact are 45 m/s (101 mph) for low energy impact, 120 m/s (268 mph) for medium energy impact, or 190 m/s (425 mph) for high energy impacts. At a minimum projectile mass of 0.86 g, this equates to kinetic energies of 0.87, 6.2 & 15.5 J. This may not sound much, but with a maximum contact area of only a few square millimetres and a typical deceleration time of less than 10 microseconds, the pressure exerted can be huge (> 1000 bar), certainly enough to penetrate eyes or flesh. It should be noted however, that spectacles can only be tested to the low energy tests - only full face-shields can claim protection against high energy impacts. The main purpose of the test is to ensure that protective eyewear will not break or deform to the point where contact can be made with the eyes or flesh. To that end, eyewear is impacted at four points on the head - frontal points and side points of both eyes, and inspected for damage or contact with the head form (contact is checked via carbon paper placed behind the eyewear which will mark if impacted). Where high-speed particle impact protection is claimed, products must also meet the mandatory optical and non-optical requirements for all protective eyewear, including field of vision, transmittance of light, diffusion of light (although there is a reduced requirement for high-speed impact resistant eyewear) and spherical, astigmatic and prismatic refractive powers. In addition, the eyewear must also meet the optional requirements for lateral protection - a probe is used to check that the eyewear prevents ingress via the sides of the face; and increased robustness - the oculars are required to withstand an impact of a 22 mm ball (43 g mass) at a speed of 5.1 m/s (this test is usually carried out using a vertical, gravity driven, impact arrangement) whilst fulfilling the same requirements as those in the high-speed particle impact test. Other non optical tests covered in EN 168 include field of vision to ensure that frames do not unacceptably impede peripheral vision. This parameter is checked using laser equipment that projects beams of light onto the test sample which is mounted onto a head form. Physical property tests ensure that the eyewear provides the mechanical protection claimed and remains fit for use after normal war and tear. A variety of properties can be tested depending on the hazards against which protection is offered. Some tests such as checking for the lateral protection provided by articles such as goggles are quite simple. The goggles are mounted on a standard head-form and a 2mm diameter probe is used to attempt to touch defined areas around the eyes. Other tests can be more complex. Most safety glasses must be tested for resistance to ignition using a heated probe at 650oC. A steel rod is heated to the required temperature and the heated end face is pressed onto all parts of the test sample except elastic headbands and textile edgings. As an absolute minimum for robustness, oculars must withstand pressure from a 122mm diameter steel ball loaded with 100N (approximately 10kg) without breakage or excessive deflection. Where increased robustness is needed, the steel ball is projected to impact the defined points on the frame and oculars under high and low temperature conditions. Corrosion resistance tests involve immersing the sample in a solution of sodium chloride (salt) at both boiling point and room temperature. The sample is then dried off and checked visually 24 hours later for any corrosion. Other tests include assessing the usability of the eye protector after exposure to high temperature, low temperature and ultra violet light originating from strong sunlight or welding arcs. The results of testing can be used to support an application for EC type examination and supplied to the Notified Body as part of the associated technical documentation (called the technical file). In addition to performance data the technical file should contain information relating to the use of the product, design, materials, manufacturing methods, quality control, markings and instructions. As part of the assessment, the Notified Body will examine the performance test results and also consider whether the product may contain any substances restricted by European legislation such as nickel - commissioning ‘innocuousness’ testing as required. To conclude, whilst eye injuries still form a high percentage of accidents both at work and at home, many of them are easily preventable by wearing appropriate eye protection. 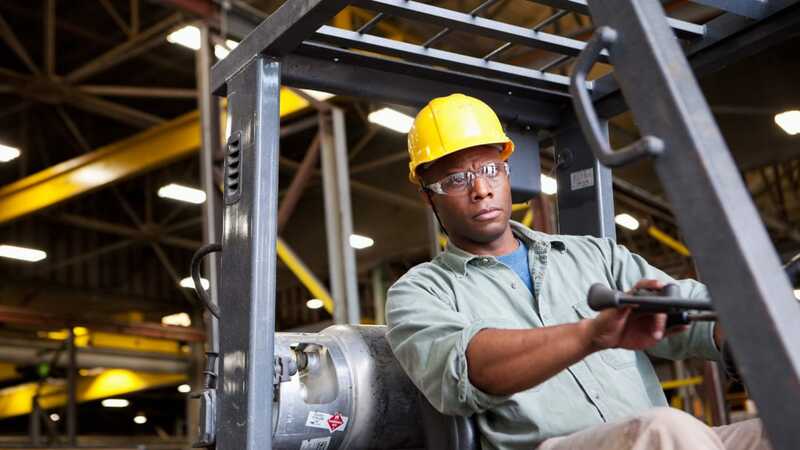 European legislation and standards place obligations on employers and manufacturers to provide safety eyewear that is fit for purpose and provides adequate protection against a variety of hazards. Advances in eyewear technology have enabled the development of more protective, better designed and more comfortable products, which if used should lead to a reduction in injury statistics.